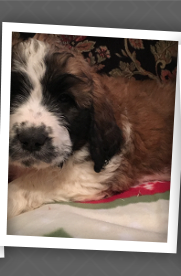 SAINT BERDOODLE, BERNEDOODLE AND MOYEN TRI COLORED/PHANTOM/MOYEN POODLE PUPPIES ARE HERE!!! Saint Berdoodle Puppies Expected late summer to Christmas! Unforntunately at this time I am unable to up load photos so please just send me a email or text at 865-221-4353 for pics of these beautiful puppies. 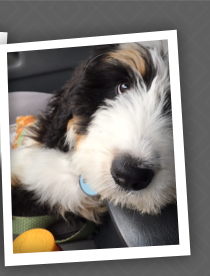 GRACIE AND TUCKER'S LITTER OF F1B SAINT BERDOODLE'S ARRIVED ON 12/19/19! We currenlty have 9 puppies available males and females. They are tri colored and white with apricot markings. 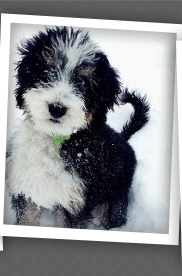 These puppies are the most hyperallergenic of the Saint Berdoodle's and do not shed. 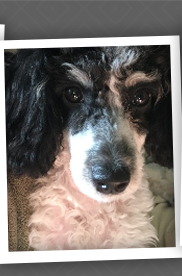 PHANTASIA AND BASH'S AKC MOYEN POODLE LITTER DOB 09/28/18! I currently have one female and one male moyen phantom puppy available from this litter. PHEOBE AND BASH LITTER BORN 12/15/18! 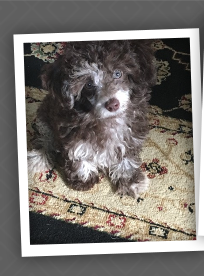 WE HAVE BEAUTIFUL MOYEN CHOCOLATE MEREL AND 1 BROWN MALE AND FEMALE PHANTOM MOYEN POODLES PUPPIES AVAILABE!!! PLEASE CONTACT ME FOR PICS! DARLA AND MAVERICK HAD A BEAUTIFUL LITTER OF BLACK AND RED PHANTOM STANDARD POODLE PUPPIES ON 12/28/19! WE HAVE MALES AND FEMALES AVAIABLE. THEY WILL BE READY TO GO ON 2/28/19. CHLOE AND BASH HAD A BEAUTIFUL LITTER OF TOY TRI COLORED POODLES ON 1/16/19 AND THEY ARE ALL GIRLS. SHE HAD 3 TRI COLORED TOY POODLES AND 2 PHANTOM TOY POODLES. THE PHANTOM PUPPIES HAVE INDIVIDUALLY BEEN COLOR TESTED AND DO CARRY THE PARTY GENE. THEY HAVE ALSO ALL BEEN GENETIC TESTED AND ARE CLEAR ON ALL GENETIC TESTING COMPLETED!